Beforehand, it seemed really difficult to imagine this Johnson’s Paint Trophy tie winding up as anything but a straightforward home win, given the two combatant’s current form and respective league positions. But, after a penalty shoot-out, it was the West Country side who progressed, and deservedly so in my opinion. 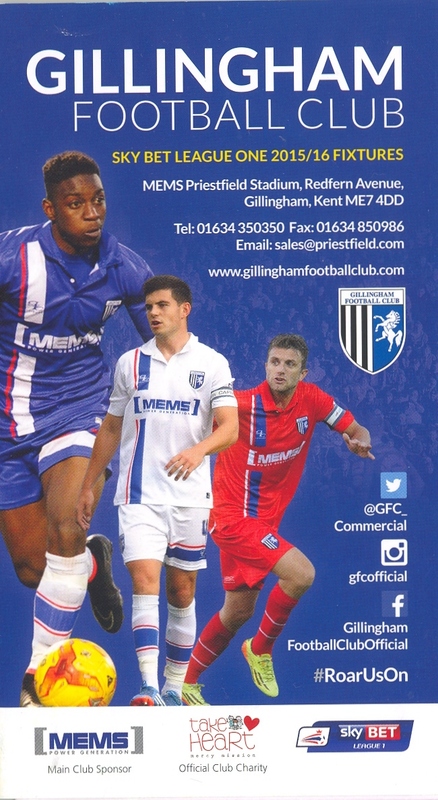 Whether it was a case of underestimating their opponents, or (more likely) undervaluing the competition I don’t know, but Gillingham started this match at a pace which could only be described as somnambulant. On three occasions in the opening ten minutes the visitors tore a hole in the left side of the Gills’ defence, with only poor decision-making preventing them grabbing an early lead. Yeovil were then unfortunate as a Ben Tozer shot from distance, following a fluffed clearance by the home ‘keeper Stuart Nelson, came back off the crossbar. But a 12th minute break, this time down the Yeovil left, ended with on-loan Harry CORNICK neatly guiding the ball past Nelson to open the scoring. Even this reverse failed to shake the home lot from their complacency and/or lethargy - with only the long-haired Bradley Dack apparently showing any interest in proceedings; his over-enthusiasm swiftly earning him what would be the evening’s only yellow card. The visitors by contrast were effortlessly running the show in midfield, with Cornick and Matthew Dolan both prominent; and in the awkward looking Owar Sowumni benefiting from a willing and hard-working outlet. The Gills had rarely threatened during the first period, but with just seconds remaining until the break they fashioned an unlikely equaliser; left back Bradley GARMSTON cutting in onto his right foot to bash in a quite breathtaking strike. Oddly enough no teammate appeared remotely interested in celebrating this one with the scorer. Some back story here, perhaps? The unexpected boost certainly revitalised the home side, for their second-half display was a distinct improvement. Even so the better chances still fell to the visitors, and both Cornick then Alex Lacey squandered opportunities in front of goal. Dack continued to make a nuisance of himself but his crossing really was woeful, time and again his attempts soaring over the heads of his teammates. He almost made amends in the closing minutes digging out a fine shot, which Yeovil’s Chris Weale did well to parry away to his left. And so to penalties: eight of which were converted before Rory Donnelly missed, leaving Yeovil’s Connor Roberts to fire his side into the last eight of the competition. What constitutes a "Mega" store, I am not sure. This is really just a club shop, I would suggest. and had left a door open. So to their bemusement I snuck in and took a quick snap. Panorama of Priestfield Stadium, Gillingham. Loft and Dack ponder their options, before the latter just decides to hit it as hard and as high as he can. Bradley Garmson receives out wide left. Home defender John Egan does just enough to put off Yeovil's Darren Ward following a corner kick. Visiting 'keeper Chris Weale comes out for a slap at a corner kick at the other end. Harry Lennon uses an unorthodox approach to achieving a bit of leverage. Alex Lacey is the Yeovil defender feeling the benefit. The penalties were taken in front of an empty stand to the ire of the folks at the opposite end. I can only assume Yeovil won the toss for choice of ends. Bradley Dack thwacked the opening penalty straight down the middle. Rory Donnelly, by way of contrast, hit his way over the crossbar. Gillingham's Stuart Nelson came mightily close to reaching Connor Roberts' winning penalty. 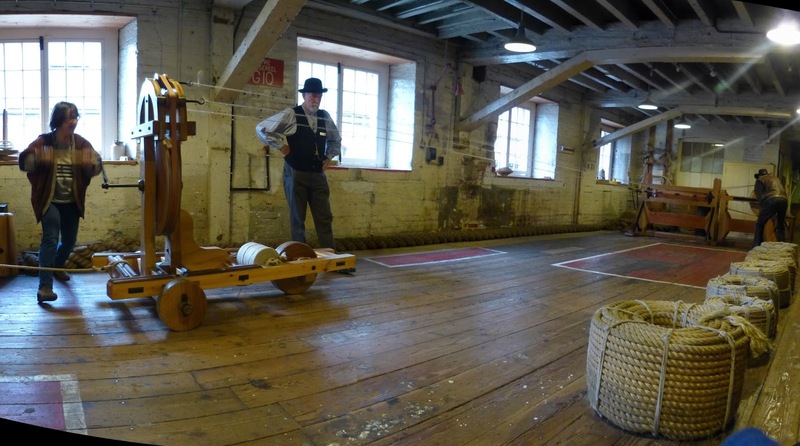 The following day, before leaving for London to attend the PFM concert (see other blog) I spent a few hours at the Chatham Historic Dockyard. It was only as I arrived to be greeted by the sight of a group of elderly gents sporting impressive medal collections on their chests did I (rather shamefacedly) realise it was Remembrance Day. So I decided to attend the brief ceremony which was taking place adjacent to the HMS Cavalier, where I was inordinately proud to find a lone piper playing The Skye Boat Song. I suppose I do have a family member for whom this ceremony is there to commemorate – a great-uncle by the name of William Home Anderson. My great-grandmother – one Mary Anderson - was born in 1870 and spent much of her life in service up in Aberdeenshire. She must have been a bit of a lass, for she had two illegitimate children to different men, neither of whom she cared to identify on their birth certificates. One was my grandfather, and the other his elder half-brother William. William enlisted in the Cameron Highlanders as William Home in 1906 at the age of 16 and, being a career soldier, was still serving when war broke out in 1914. He was sent to France as part of the BEF, but did not return, disappearing during the Battle of the Aisne in September of that year. His name appears on the memorial in the small French village of La Fert’s Sous Jouarre on the banks of the River Marne. So I spent the two minutes silence pondering upon the fate of this distant relative who, if things had turned out differently, I could well have got to know, had he lived well into his seventies, as my grandfather did. But who instead was lost at the pitiably young age of 24. The National Destroyer Memorial at Chatham Dockyard. which had originally been built at the yard. This was where the sub was steered from. During the Ropery tour, folks enjoyed the opportunity to make some rope. The real rope was made, and indeed still is, in the quarter of a mile long brick built Ropery. The building is so long, staff do indeed use bicycles to get around. 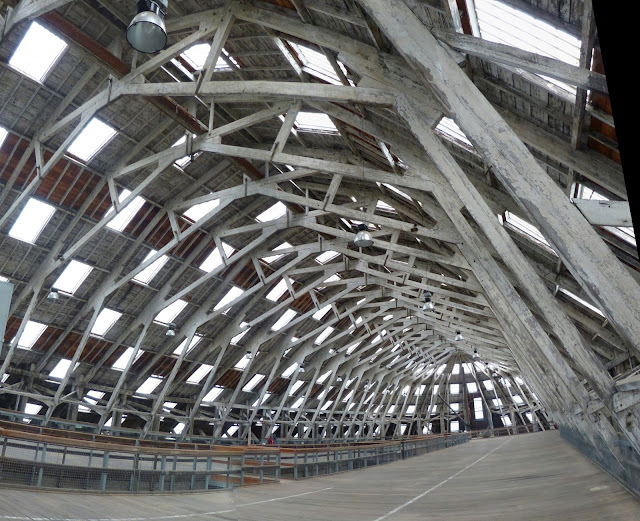 The ground floor of The Big Space, once a covered slipway. a mezzanine has been built. My picture singularly fails to convey the scale of the structure.